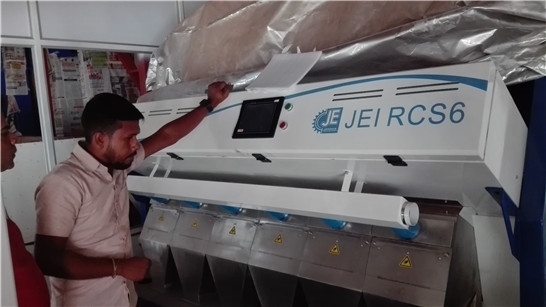 With the looming possible labour shortages, walnut color sorter growers are more and more often looking implement automation solutions in their hulling and drying facilities. WECO Sorting is one of the leading global suppliers of walnut sorting and moisture metering technology. The company proposes comprehensive solutions, including a walnut color-sorter - WalnutTek. Thanks to the optical camera system, WalnutTek allows to view walnuts in free fall without the need for a clean background, rejecting green and black nuts, and thus ensuring a high level of consumer satisfaction with good quality products. “WalnutTek is an ideal solution for all size walnuts growers, which helps them to increase the efficiency and quality of production as well as to save on labour expenses”, explains Piotr Milewski from Milbor PMC which is representing WECO Sorting in Europe. Adjusting the nuts to the needs of the Sesame color sorter market and providing them with a suitable drying process is carried out by using the WECO Moisture Meter. WECO proposes a wide range of options beyond simple moisture monitoring, including automation for air doors and fill gates. The use of appropriate systems allow to dry walnuts to a preset moisture limit saving energy and fuel while also preventing over-drying.